Our shoeshine kit features a single zipped compartment with each item secured with a strap inside, the main body of the kit is Leather. 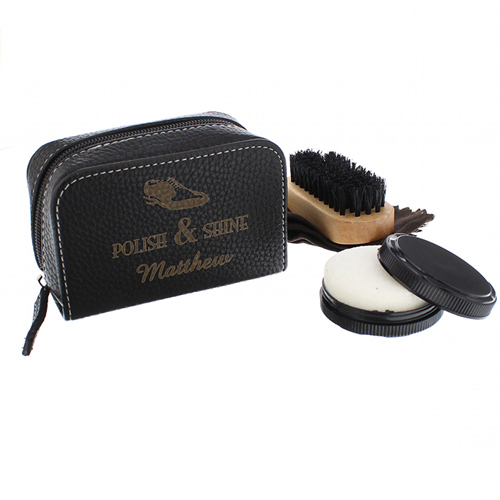 This Polish & Shine Showshine Kit can be personalised with a Name up to 12 characters. Please note: The words 'POLISH & SHINE' are fixed. Personalisation will appear as entered, if you require the wording to appear in UPPER CASE, please enter it in this style.Please refrain from using special characters as this may impair the quality of the personalisation.